Congratulations to MPA sophomores Isak Dai and Ryan Ghose, who were selected to be members of the ACDA-MN 9-10 State Honor Choir! They will sing in the Mixed Choir under the direction of Bradley Miller from the University of Minnesota, Morris. 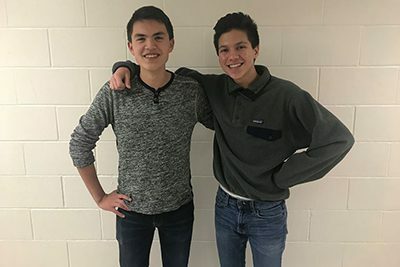 Isak and Ryan will prepare their Honor Choir music for a day-long festival in February, culminating with a performance at Central Lutheran Church. Both Isak and Ryan currently sing in the MPA Concert Choir and Madrigals Singers. Best wishes to our musicians!